A native of DuPage County, attorney Timothy J. Fiscella founded his law firm with a mission to provide the highest level of defense possible to protect the rights and freedom of his clients. With nearly 10 years of trial and negotiation experience, he uses every tool at his disposal to fight to achieve the most favorable outcome possible for those he serves, regardless of the severity of the charges they face. 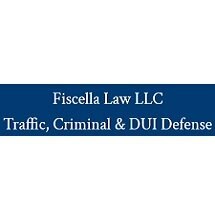 Anyone in the Chicagoland area who needs a solid defense strategy from a seasoned and trustworthy attorney can rely on the Law Office of Timothy J. Fiscella for help. The law firm offers free initial consultations with no risk and no obligation.